Our mission was to find an office chair that’s customizable enough to offer support with multiple posture adjustments throughout the day. One week of sitting, swirling, and slouching later, we found the three chairs that could effortlessly accommodate sitters of all heights, shapes, and sizes. We noticed right away that office chairs vary widely in price: Either they’re under $100 with limited adjustment options (just the arms and height) or they range from $500 to $1,200 but come with nearly unlimited customizations. We wanted to uncover which features were worth paying for and how the more expensive models stacked up against a true budget option. 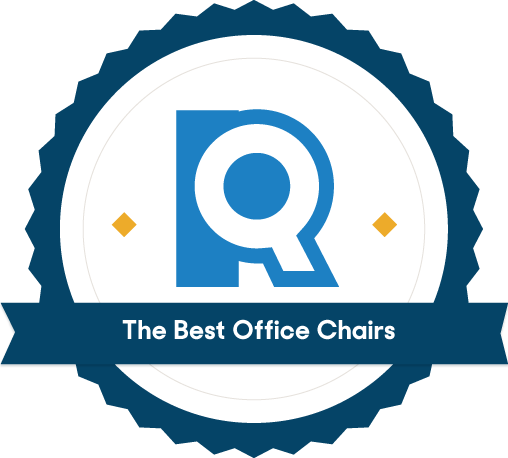 So, we sought office chairs that consistently topped “best of” lists from sources like Smart Furniture and Business Insider, plus any best-sellers on Amazon and popular models from prominent office furniture companies like Herman Miller and Knoll. That left us with 11 unanimously well-loved office chairs to put to the test. We naturally move and change our sitting position throughout the day, and your chair should, too. Chairs that confine us to one rigid or slouchy position lead to fatigue and frustration. The best office chair will shift and customize to fit both your physical shape and your changing postures. We wanted to find chairs that could work for anyone, no matter their height or size. So, we assembled a team of testers to spend a full workday in each chair, taking note of what we loved or hated about each of them. Specifically, we compared how supported we felt in a variety of different postures: as we leaned on one arm to chat with a desk mate, perched forward to take notes, or tilted back to read through our email. The best conformed to our bodies, moving forward with us to support our lower back. 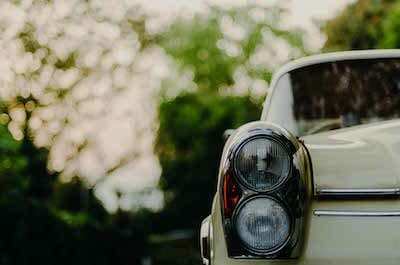 The worst — often the cheaper models — were too rigid or dug into our spines when we reclined. On a truly ergonomic chair, you can adjust nearly everything. And one worth its price tag will make it easy to utilize those adjustments. 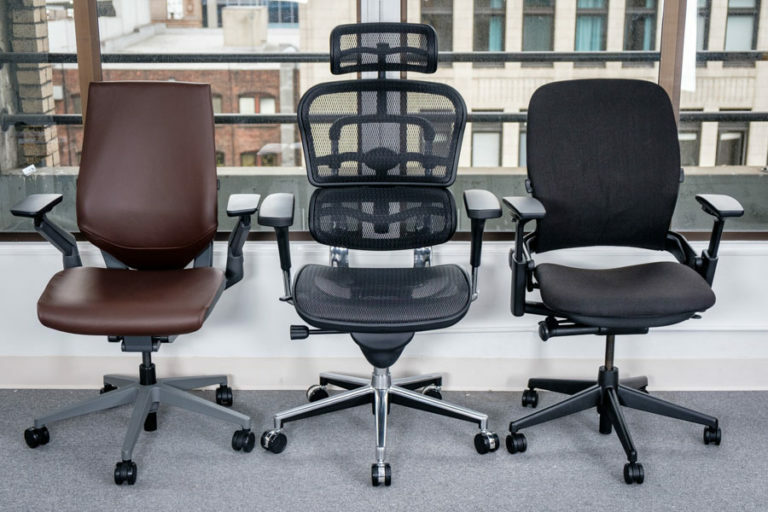 Our testers compared how each chair conformed to their preferred height, seat depth, and tilt, as well as armrest position and lumbar support — essential features if your job requires you to be sitting for extended periods of time. In these metrics, a few chairs excelled — both Steelcase models come with an adjustable strap, for instance, that allows you to slide your lumbar support to cater to your height. Models like the Herman Millar Sayl, by comparison, worked against us with a rough plastic design that dug into our backs. We also liked chairs that combined multiple functions into one lever or offered wide ranges of movement for features like armrests. In the end, all of our chairs might be a good fit for someone, but we found three favorites that can work for nearly everyone, thanks to their many adjustments and accessible designs. The most comfortable, customizable, and best-looking chair we tested. The Steelcase Gesture was best at accommodating us when we rested back, leaned to the side, and perched forward. Our testers were instantly comfortable (even before toggling the many adjustments). That’s thanks to its flexible “3D LiveBack”: a curved, flexible back that moves with you. The slits in the plastic bend and tilt with your lower back, and a sliding lumbar support strap supports that one spot in your spine that always rests just off the chair. The Gesture also has a satisfying sturdiness that demonstrates its well-built construction — no flimsy plastic or creaking hinges here. Steelcase claims to have “deconstructed the chair” and returned “to the essence of the sitting experience.” We’re not sure about all that, but the Gesture is definitely more customizable than any other chair we tested. The armrests are meant to mimic natural arm movement, so they can shift and rotate in any direction. 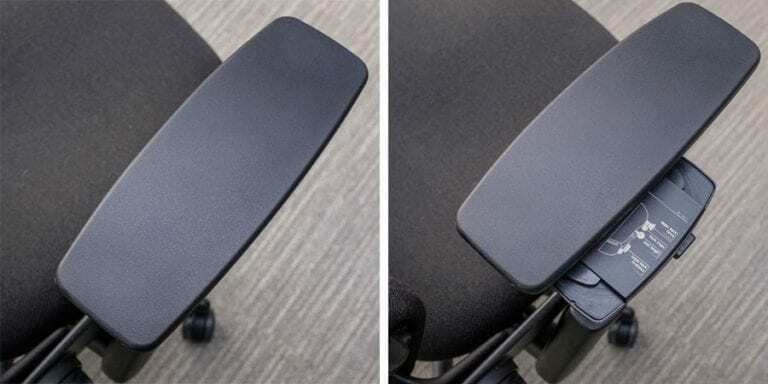 All other adjustments are on the right side of the chair, so you won’t be blindly tapping around for the seat tilt only to accidentally plunge the seat down instead. To adjust seat depth on other chairs, you have to lift a lever while also lifting part of your body and sliding back and forth. On the Gesture, adjusting seat depth is handled with a simple dial — no half-thigh-lifting or scooting necessary. Testers were immediately drawn to the chair’s square frame and sleek profile, and we liked that you can choose from an endless range of custom colors and materials. We chose the espresso-colored leather — testers thought that it would fit perfectly in a mahogany-rich library. But if you want something more suited for a station on the USS Enterprise, you also have the option of orange fabric with a platinum metallic frame. While the Gesture was hands-down our favorite chair, it was also one of the priciest, starting at around $900 and going all the way up to $1,300 depending on your choice of custom colors and materials. While a good office chair is an investment, the Gesture might be overkill if you’re looking for something a little simpler. The Gesture’s sliding lumbar support strap is a bit tough to slide up and down behind you, and the difference it makes is subtle. The most common complaint made by customers on Amazon was its lack of lumbar support, particularly for people who suffer from back pain. If that sounds like you, the Raynor Ergohuman might be more appealing. Tiered support that meets your back in all the right places. For sitters who crave a big chair with lots of back support, it’s hard to do better than the Raynor Ergohuman. Rather than curving to mimic the spine like the Steelcase Gesture, its individual back plates invert the spine’s curve to meet your back in all the right places. 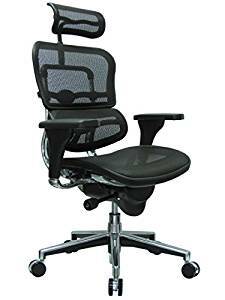 The lumbar support section, for example, protrudes gently into your lower back and moves with you to support your back even when perched in your seat. Amazon reviewers frequently note that the chair eased their back pain, allowing them to sit comfortably for eight-hour days. The Ergohuman’s seat and back are made of flexible mesh fabric that allows air to circulate — good for those of us who run warm. The breathable material is also less likely to stick to your body should you happen to get up suddenly. We weren’t sure if we’d like headrests — only a few of our chairs had them, and they looked excessive. But the Raynor’s sits nicely into the nape of the neck and supports it without the need to lean back. 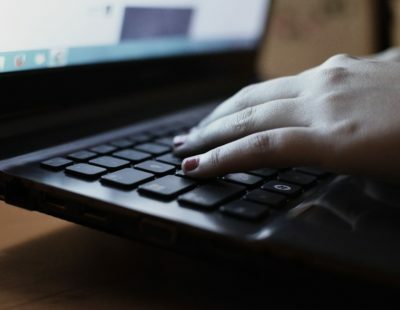 You likely wouldn’t use it when sitting forward, but after straining your neck to look down at a phone or focusing into a laptop, that rest feels great. Though the Ergohuman’s tall, mesh back and curved stainless steel spine is comfortable, it also resembles something out of an alien’s dentist office. For more professional environments, this chair’s aesthetics may be too audacious. 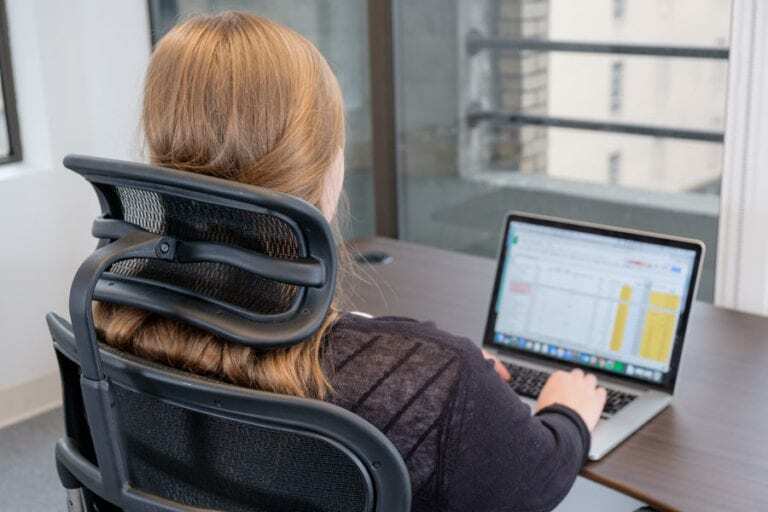 Most of our testers appreciated the Ergohuman’s head-to-tail back support, courtesy of its separate, adjustable plates. But some felt the chair was actually too supportive, like they were being pushed out of their seat. If you prefer a less rigid back, either Steelcase chair may be a better fit. As comfortable as the Gesture, but with fewer adjustments. Of our two Steelcase favorites, the Leap doesn’t look as high-tech as the Gesture, but it’s almost as ergonomic. It uses the same 3D LiveBack design paired with a sliding lumbar strap, but also goes a step further and includes a dial for lower back firmness. Testers also commended its well-cushioned support and said that it was comfortable enough to use for long hours. The Leap’s unassuming appearance masks some unique functionality, such as a dial that tightens or loosens the LiveBack bars of plastic along the lower back, allowing the sitter to increase or decrease lower back pressure. Other adjustments are fairly intuitive, but if you’re not sure which lever to pull, there are well-hidden guides under the armrests. Brand new, the Leap can retail anywhere from $600 to $950. 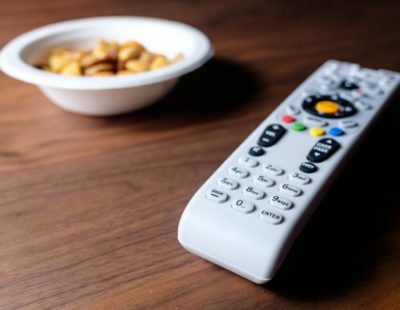 But because it’s been around for so long, you can usually find it used or discounted for significantly less, around $300, in local furniture stores or on sites like eBay. The Leap’s biggest flaw is that it doesn’t go very high. Its maximum height was a full 2 inches shorter than other chairs, and our taller testers disliked how much pressure that put on their feet. For anyone over 5 feet, 6 inches, sitting in the Leap means that your feet will be flat on the floor with your knees slightly angled. The Leap’s armrests are slightly more limited than our other favorites. They still go up and down and offer a comfortably wide perch, but they can’t swing out wide like the Gesture. 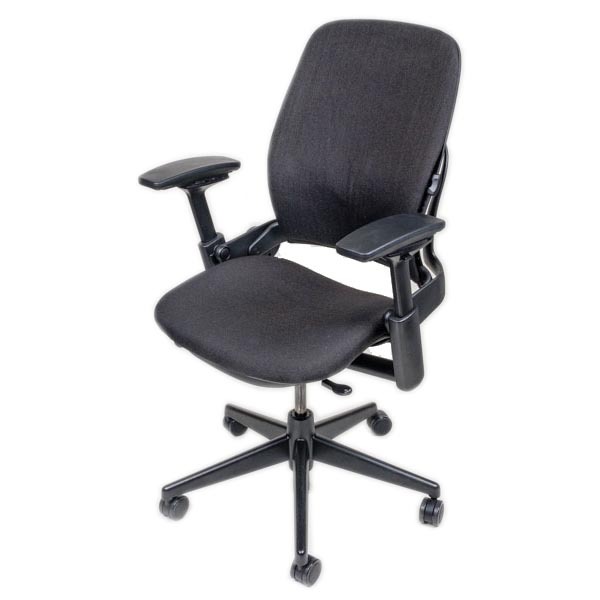 Office chairs typically bucket into two price ranges. Either they’re under $100 with limited adjustment options, or they range between $500 and $1,200 with a wide capacity for customization. Basically, the best is expensive, and anything affordable will feel pretty basic. A great chair isn’t cheap, but it can be worth the money if you spend most of your day in it. However, if you don’t spend much time at your desk, a more basic chair may be all you need. How much time you spend in your chair largely determines which features you should seek out and prioritize. “If your job requires you to be sitting for most of the day, then specific chair features become more important. 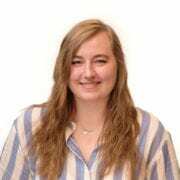 Those include lumbar and total back support, adjustment so that one’s feet can be supported by the floor or a footrest, and armrests that adjust both vertically and horizontally." A good office chair keeps you supported as you change postures, the way you do when working for hours at a time. For that reason, it’s best to experiment with leaning, straightening, and shifting in any prospective chair before you buy it. 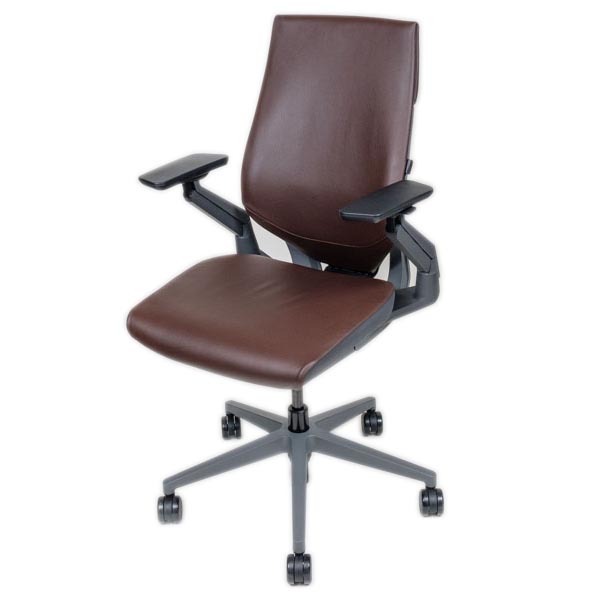 Ultimately, the best office chair for you comes down to your own preferences regarding feel. Is there a "right way" to sit in an office chair? Technically, there actually is. OSHA has a few tips — like keeping your elbows close, wrists rested parallel, feet placed on the floor, and shoulders relaxed. You’ll also want to be sure your monitor is tilted slightly up, so your neck isn’t craned forward. Recent health think-pieces claimed that sitting all day can lead to obesity and raised blood pressure. While that sounds scary, the solution to those health risks associated with sitting is simple: Stay moving. Experts recommend a combination of both sitting and standing throughout the day and taking frequent breaks to walk around. An adjustable standing desk is a great way to keep you from sitting — or standing — for too long.